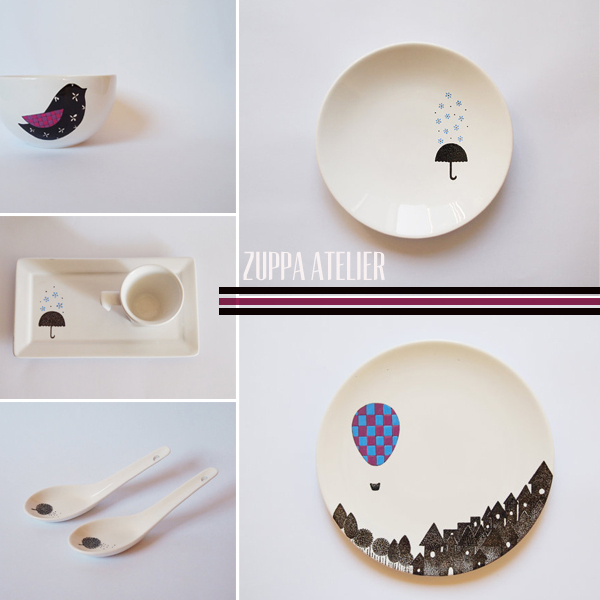 I'm showing some Etsy love to Zuppa Atelier today. These hand painted porcelain houseware items are totally unique with the pops of color and little drawings by Julia Dely. If I had a few pieces, I'd make sure to display them because they are too cute to tuck away in a dark cabinet. They are very sweet pieces! Love them all!